Saoirse Ronan is just magnificent as Eilis Lacey, a teenage girl who leaves her small Irish town in the 1950s to emigrate to America. Director John Crowley gets the period details right, but more significantly he gets the emotional details right of leaving everything you’ve ever known before. This isn’t a hard-edged “The Immigrant” sort of tale, but a gentle one. In America, Eilis feels desperately homesick, out of step in a city that’s louder and faster and bolder than she is. But people help her, especially older women who know what she’s going through — there’s a very subtle but strong through-line in the movie about the value of women looking out for each other. Eventually, she meets an Italian plumber, Tony (Emery Cohen) who courts her respectfully and affectionately. We keep waiting for him to be a bad guy, but he’s as decent as they come. Just when Eilis is starting to feel like she belongs in this new country, a family tragedy takes her back home to Ireland. And once she’s there, around family and friends and familiar sights, she feels the pull of her old home again. 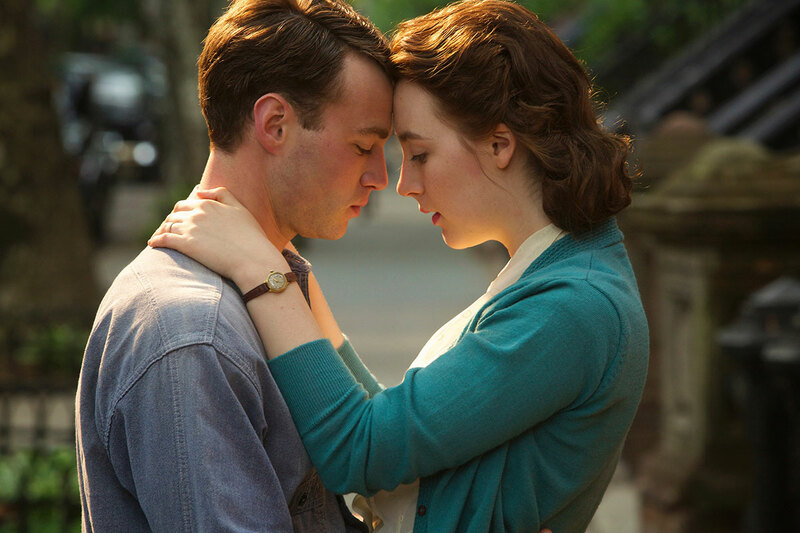 “Brooklyn” might be very much a companion piece to “An Education,” also penned by Hornby; both films follow a young woman’s progression from innocence to experience, and the hard but necessary choices she has to make in order to move forward. The supporting cast is strong, including Jim Broadbent as a kindly priest who helps Eilis along, and especially Julie Walters as a flinty landlady who keeps the women in her boarding house in line with a firm but wry touch. But this is Ronan’s show. Her career from “Atonement” on has been building to this kind of magnificent lead performance; Eilis is innocent but not naive, strong but vulnerable, and Ronan captures all the complexities of her. There are scenes, as when Eilis is watching her town’s Saturday-night dance for the last time before she leaves for America, and Crowley just holds the camera on her face for almost a minute. And she tells you everything, everything you need to know without saying a word. The film got standing ovations at both of its screenings at Sundance’s big Eccles Theater, and Ronan was wiping tears from her eyes. She wasn’t alone; audience member after audience member stood up and told about their own immigrant story, whether it was a young man moving from Turkey to German, or someone’s parents coming from Ireland in the 1920s. 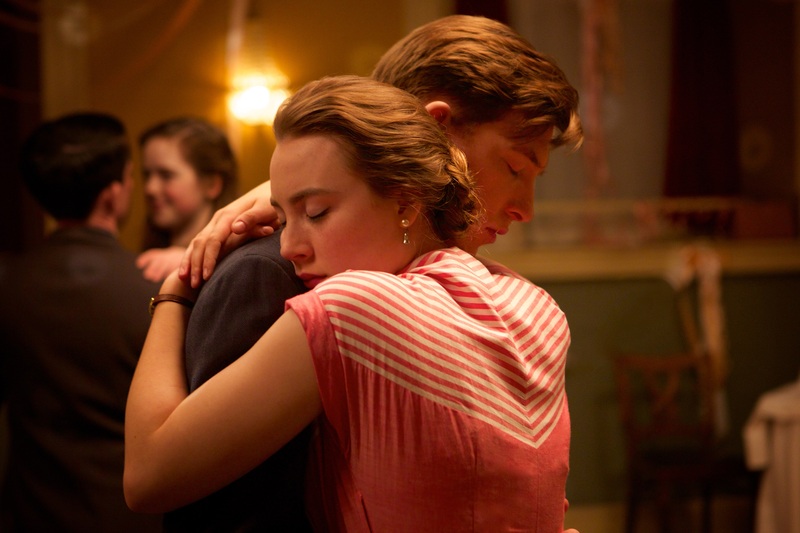 Fox Searchlight Pictures acquired “Brooklyn” on Tuesday, and I’ll bet they’ll make a major awards-season push behind it, especially Ronan’s performance.